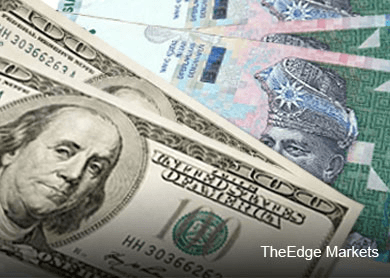 KUALA LUMPUR (Jan 20): The ringgit extended this week’s loss before Prime Minister Najib Razak holds a special session on Malaysia’s economic developments amid a plunge in oil prices. The currency has weakened 11 percent in six months on concern that the drop in Brent crude will reduce earnings for Asia’s only major oil exporter. Investors are focused on whether Najib will make any adjustments to the 2015 budget assumptions, including the fiscal deficit target, economic growth estimates and the ringgit. The currency fell 0.5 percent to 3.5875 a dollar as of 9:48 a.m. in Kuala Lumpur, adding to yesterday’s 0.4 percent loss, according to data compiled by Bloomberg. The ringgit dropped to 3.6045 on Jan. 14, the lowest since 2009. Ten-year government bonds were little changed, with the yield on the July 2024 notes at 3.94 percent after rising two basis points yesterday, data compiled by Bloomberg showed. Oil-related industries account for a third of Malaysian state revenue. The government, which has run a budget deficit since 1998, is seeking to trim the gap to 3 percent of gross domestic product this year from 3.5 percent. The economy is forecast to expand 5 percent to 6 percent this year compared with an estimated 5.5 percent to 6 percent for 2014, according to the Finance Ministry’s October economic report. Official data tomorrow may show inflation slowed to 2.8 percent in December from a year earlier, versus 3 percent the previous month, according to the median forecast in a Bloomberg survey.